Collecting DNA samples is done using our home sample collection kit. You will receive your DNA test kit with full instructions just a few business days after placing your order. Please follow these visual examples for collecting your DNA samples. You need to repeat this process for for every person to be tested. 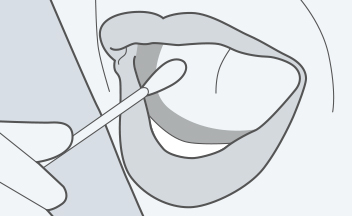 Remove the oral swabs from the plain envelopes in the DNA test kit. 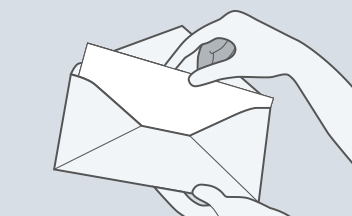 Once you have removed the swabs, the envelopes need to be filled in with some basic information. 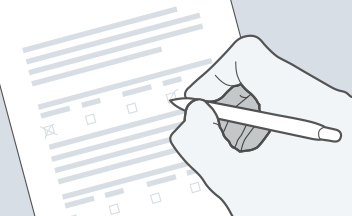 You also need to fill out the consent form you find inside the kit. 1 minute against the entire inner cheek surface. This action should be firm but not aggressive and should not be uncomfortable. Remember that you need to use the four swabs provided for every person. Once you have completed all previous steps, place the swab envelopes and the consent form into the larger pre-addressed envelope. Please remember to attach sufficient postage stamps and send your samples off for analysis. We recommend using courier or tracked mail service for traceability purposes. Note: You can also collect your kit from one of our South Africa offices. We are based in Johannesburg and Cape Town. If you do wish to collect a DNA testing kit in person, you will need to contact us before to make an appointment. If you need to collect samples now because waiting to receive our kit is not a feasible option, then why not create your own sample collection kit? We will explain how to do this in a few easy steps . Learn how to make your own home kit now. Your DNA is not altered by medication, drugs, surgery or organ transplants. Using blood for a DNA test is no more accurate than using saliva. This is because DNA is the same in every cell in our body. Sample collection for a legal test is carried out in exactly the same way as explained above. However, a sampler is needed to collect the samples and ensure the chain of custody is followed. 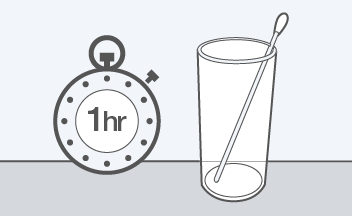 It is recommended not to eat or drink for at least half an hour before samples are collected. Collecting the samples is easy! What next to obtain my kit? As you have seen the process is easy. Once you place your order we will send out the kit by courier the same day (or the next depending on time of order). For more general information about our DNA testing kit or about our paternity testing services visit our frequently asked questions section or click here.